Home Anime Marvel and Attack On Titan crossover project teased and announced! Marvel and Attack On Titan crossover project teased and announced! Fancy a crossover battle the likes of which no one could have imagined possible? How about seeing those human eating Titans from the popular manga/ anime “Attack on Titan” throw it down with the characters of the Marvel Universe? Exciting prospect? You may just get your wish then, as Marvel Entertainment writer and editor C.B. Cebulski has teased via his official Twitter page that the House of Ideas is working on a crossover between both properties, which will be announced and detailed in two weeks time in Japan. Accompanying the announcement of the proposed “Marvel/ Attack on Titan” crossover is uncolored artwork of Spider-Man as he webslings away from two Titans, who are probably after him for their next meal. Of course that’s not going to happen anytime soon to our friendly neighborhood wall-crawler if he has anything to say about it… But you never know what the plot of this story is… And how the characters from the series will play into things once this project gets officially announced with the details revealed. Beginning serialization on September 2009 in Kodansha’s Bessatsu Shonen Magazine, Attack on Titan, known as Shingeki No Kyojin in Japan, is an ongoing manga series where humanity lives in walled up cities that prevent monstrous gigantic creatures known as “Titans” from attacking them. Unfortunately, these monsters relentlessly pursue and kill, forcing humans to fight back and develop a military corps that defends and hunts these beasts down whenever possible. Caught in the middle of the struggle is Eren Yeager, a young boy who witnesses his mother killed and devoured by a Titan as a child. Swearing revenge, he joins the military along with his adopted sister Mikasa Ackerman and friend Armin Arlert, and become formidable fighters in the process. 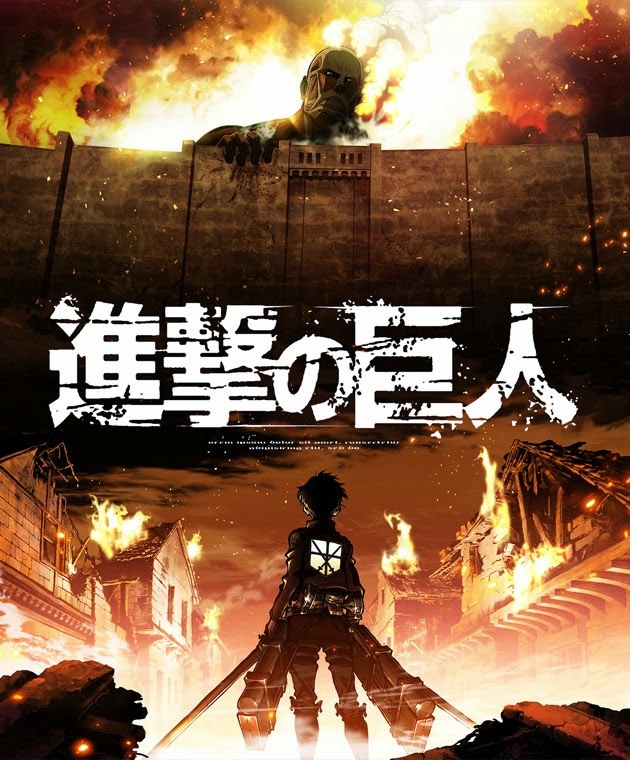 Unfortunately, Eren’s life gets a lot more complicated when he discovers he has the power to transform into a Titan himself, and soon other secrets spill that drastically change the way things are perceived with the war, including the origins of where these creatures come from and what politics play into the grand scheme of things. Becoming a critical and commercial success and having over 40 million volumes in print, Attack on Titan’s popularity is renowned and known by many worldwide. The series spawned an anime adaptation that began in April 2013 and ran until September of that year, generating more buzz and popularity. A live action film is also set for release this coming Summer 2015, further promoting the franchise further along the entertainment industry. This development with Marvel is certainly unprecedented and unexpected, but very much a welcome sight to fans of both who would love to see a crossover of epic proportions happen. Check-in with your favorite servants at these Fate/Grand Order hotel rooms!